Sure, picking up poop is gross, but you know what is more gross? NOT picking it up! No matter your day job, if you have a dog, this is just part of your duty. Check out superstar Pink pictured here doing her job at the beach, demonstrating that you can look good scooping. Even billionaire Mark Zuckerberg scoops poop. I bet most of you are hip to the scooping, but some people make the rest of our owners look bad. Enter Puget Sound Starts Here, a partnership of regional governments dedicated to improving water quality of streams, lakes and rivers. The Doo Doogity campaign is working hard to curb irresponsible owners through innovative marketing--not by scolding them, but my making poop scooping cool! Hi, my name is Scoop! I am a super-smart dog that learned how to read the newspaper, magazines and the internet while my person is at work. I always read about other dogs in the news, so I decided to start a website to share the scoop on what I find everyday. Please visit often, and tell your people! GET THE SCOOP BY EMAIL! Join the Scoop on FACEBOOK! Show your support by leaving your comments and cross posting! Please be nice. 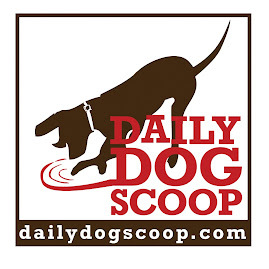 Administrators at the Daily Dog Scoop reserve the right to delete comments deemed offensive, inflammatory or profane. I am a dog. I am not a trainer or a veterinarian. As necessary, consult an appropriate professional regarding the health and training of your pet.